one hundred followers? seriously, people? i am not. that. interesting. but i'm so glad you think so! when i first started this little blog i didn't tell anyone. my own sister didn't even know i had a blog until i'd been doing it for probably 9 months! but, little-by-little i realized how much i enjoy this thing and i really want to make it enjoyable for you guys, too! i'm still (seriously) amazed that anyone reads this. but i'm totally honored and i love you guys!!! i have every comment you've ever left memorized. i'm having my first giveaway!!! this blog encompasses a lot of subjects, but one of my biggest passions is helping women dress their best. for their lifestyle, body type, and personal style. that does not mean the same thing for everyone. so, in honor of that, i'm giving away this fantastic book! it is full of advice on everything from the classics to the trends, from basic outfit planning to accessorizing. this stuff doesn't come naturally to everyone, so there's nothing wrong with doing a little research! 1. all followers are welcome to participate. 2. just leave a comment. any ol' comment. 3. include some way for me to contact you. 4. and on friday i'll randomly pick & post the winner! oh and i get to the be the first entry! I WOULD LOVE THIS! From one young mom to another- I love your blog! EKEKEKEKEKEKEK! I am so excited for you!! 100 is huge & first giveaway, double huge! woohoo! congrats on 100 followers! Who congratulations! Thats awesome and you shouldn't be surprised your blog is hilarious, entertaining and helpful! Congrats on the big one-oh-oh! YAY for 100!! You are a total rock star!!! I am so excited for you!! Would love this book! Can always use some fun tips! And congrats on reaching 100 followers - that's awesome! Yay to 100 followers! I am hopefully not too far behind, fellow IT list supporter (and am planning my own giveaway once we hit 100)! 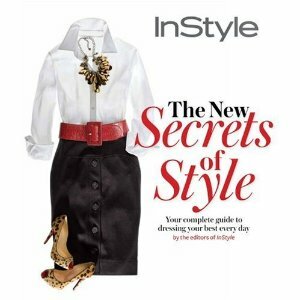 I'd love to receive a copy of zee book - I loves me some InStyle wardrobe advice! Okay okay so I love your blog. I'm just a friend of a friend. congrats on 100 followers! so exciting! I was not roped into reading this blog by anyone. I chose to read it on my own accord. That has to count for something, right??? Congrats on 100! You've got a great blog...I've read for a while and finally clicked the follow button. Looks like a great book! congrats! i have been loving your blog for some time now! Love your blog! Keesia just started a blog and it seems the two of you are always in the same place in Des Moines, surprised you haven't run into each other. See you at the next bash at Uncle and Aunt A's farm. i love instyle! i would love to check out this book. What?!?!?!?! 100 followers and a give away? I'm in! Congrats! I even have my 61 year old mom following your blog. Keep it comin'! Yay for giveaways!! I could totally use this book and/or you coming to my house and helping me with my wardrobe :) Your house looks great too and I love the colors and the red door! Yours is the only blog I follow, I just "lurk" on others!